While a “traditional” plastic extrusion is made using a single thermoplastic material, a plastic coextrusion is one that is made using two (or more) different materials. Thermoplastic coextrusion is useful when the desired performance or characteristics for a part cannot be achieved through a monolayer or single material plastic extrusion. For example, coextrusions may provide increased strength, greater wear resistance or stiffness, and other beneficial properties that a single material cannot. Other unique features that can be created via plastic coextrusion are outlined below. In thermoplastic coextrusion, two or more extruders (extrusion machines) feed the required materials into a single die to create a one-piece profile extrusion. Materials may be combined or layered, depending on application and performance requirements. 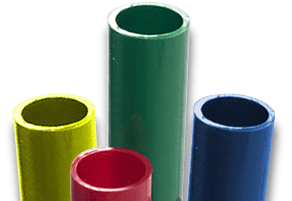 Crescent Plastics has extensive experience and expertise in creating custom plastic coextrusions, and can provide coextruded plastic profiles with multiple similar or dissimilar materials that are bonded together into a single, seamless piece. Request a quote on custom coextrusions, or contact Crescent Plastics to discuss your plastic extrusion project. We have the skills and the advanced technology needed to manufacture plastic coextrusions for nearly any industry or application. No matter how simple or complex your end product, we can help you take your concept from the design stages through prototyping and full production. We can help you select the best combination of materials to achieve your performance goals. We utilize a wide range of commodity thermoplastics, engineering thermoplastics, and foam materials in our thermoplastic coextrusion processes, and will work with you to determine what materials are needed for your unique application. We can provide custom plastic extrusions in an almost unlimited array of colors and with a wide range of custom finishes. To ensure that your custom plastic coextrusion matches all required dimensions and tolerances, we perform all tool design, tool build, and tool development work in-house. Crescent Plastics also provides a variety of plastic fabrication and value-added services to turn your thermoplastic coextrusions into complete parts that match your end designs and are ready to use upon arrival. We are the proven experts in custom thermoplastic coextrusion. Request a quote or contact Crescent Plastics for the plastic coextrusions your application requires.